Lynette first experienced Continuum with Emilie Conrad during a weeklong retreat at Esalen in 1988 where upon she purchased an Explore Board. As a professional dancer Lynette dove deep into Continuum and studied intently with both Emilie and Susan Harper. Re-imagining the Explore Board and using computer-generated graphics she choreographed and performed a thirty-minute movement solo on sculpture with projected video. 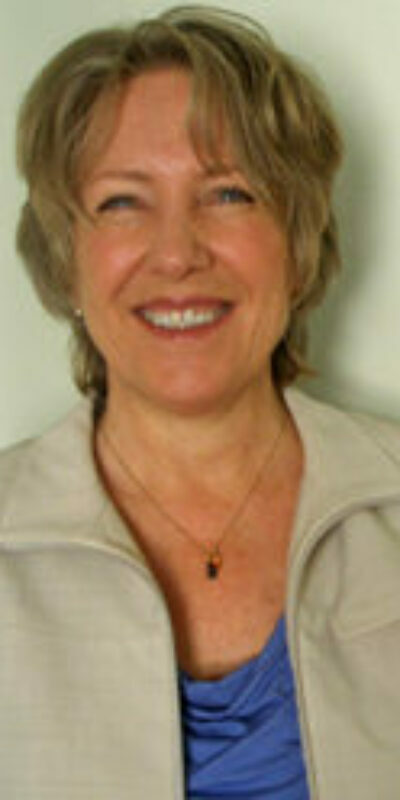 In 1994 she began teaching movement based Continuum and presented workshops at various venues on the west coast including the University of California Irvine, San Francisco State University, Deepak Chopra Center, Highways Performance Space, Bioneers, as well as weekly classes in Los Angeles, until 2004. As a video producer Lynette wrote and directed the instructional video, Being on the Ball which features Continuum Movement adapted for the inflatable exercise ball. Lynette is the founder of Dance Camera West; a dance media film festival and served as executive and artistic director during its first decade until 2012. She has a Master of Fine Arts from the University of Michigan and a Bachelor of Fine Arts from York University in Toronto; both degrees are in dance, specializing in choreography. Lynette is furthering her exploration in Continuum as a dance media artist. She is available for consultation on media projects and private Continuum Movement sessions.